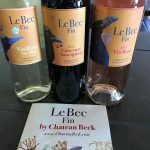 Le Bec Fin Archives - Write for Wine: It's Wine O'Clock Somewhere!Write for Wine: It's Wine O'Clock Somewhere! 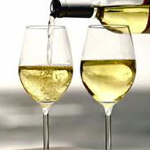 White wine pairs extremely well with the holidays for many reasons. A glass perfectly complements seafood dishes and appetizers. You can serve it at a party, take it to a gathering, or give it as a special holiday gift. An array of white wines caught our fancy lately. Our palates have always preferred Sauvignon Blanc, but we recently tasted refreshing citrusy Albariño and a surprisingly delicious Riesling. Here is our list of white wines (and a few tasty rosés) that we enjoyed in 2018 and recommend to grace your holiday plans, whatever they might be. To us, the warm weather means it’s time to sip rosé on the deck or patio, lakeside, oceanside or poolside. Drink pink! 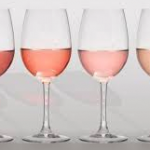 Rosé can be paired with seafood, shellfish, smoked salmon, salads, pasta and Asian dishes. Or simply drink rosé without food, watching the sunset reflected in its pretty color. 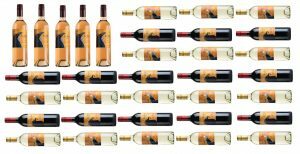 Here are seven summer sippers that we enjoyed, listed by price — five from Washington state, one from Spain and one from New Zealand.